Good morning and welcome to Summit Up, the world’s only daily column that is wondering just what we have to do to get a vacation like the one Helen Gerstein took recently. 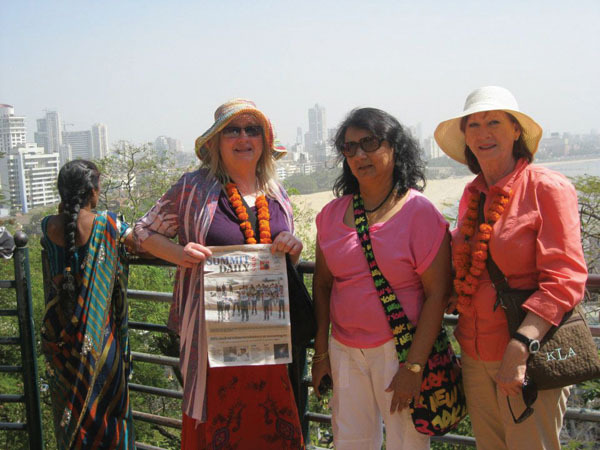 Gerstein was lucky enough to swing a couple of weeks in India. Oh boy, what we’d do to escape to an exotic land for a couple of weeks. We can only imagine. For us, it’s kind of a big deal when we get to roll over to Cloud City. Well, maybe one of these days we’ll get out there into the world. That’s all we’ve got for today. Catch ya tomorrow.